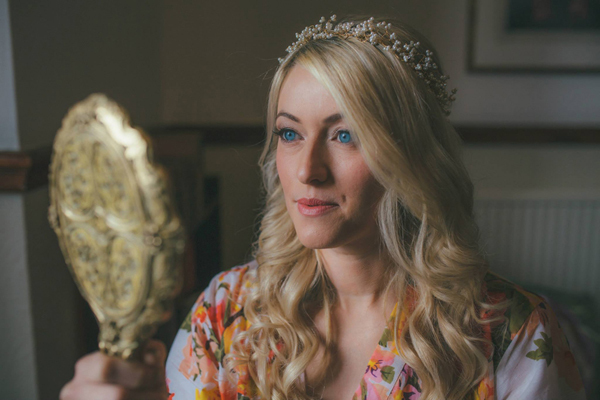 Kat favoured Gypsophila Headdress and matching jewellery for her wedding day! Kat you look absolutely beautiful! Thank you so much for sharing your lovely wedding photographs with us! Gypsophila headdress and matching jewellery designed and created by Hermione Harbutt.